A severe storm plowed up I-19 and into Tucson today. 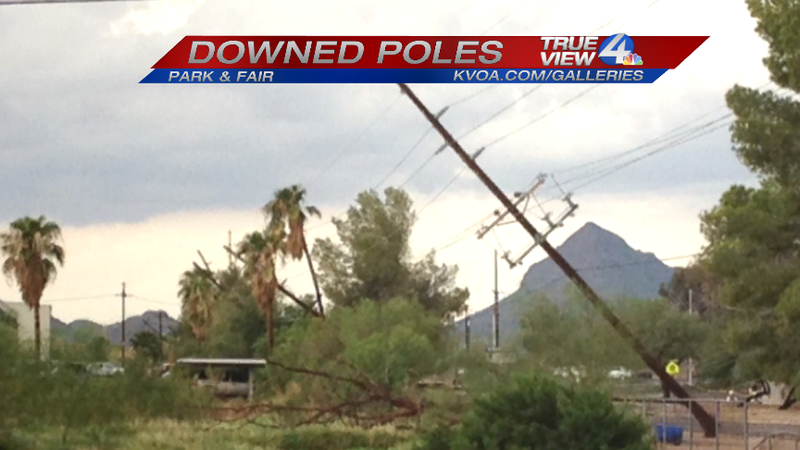 Check out the toppled power poles our reporter Sam Salzwadel captured on the South side of town. Rain was heavy especially on the South & Northwest sides of town today. 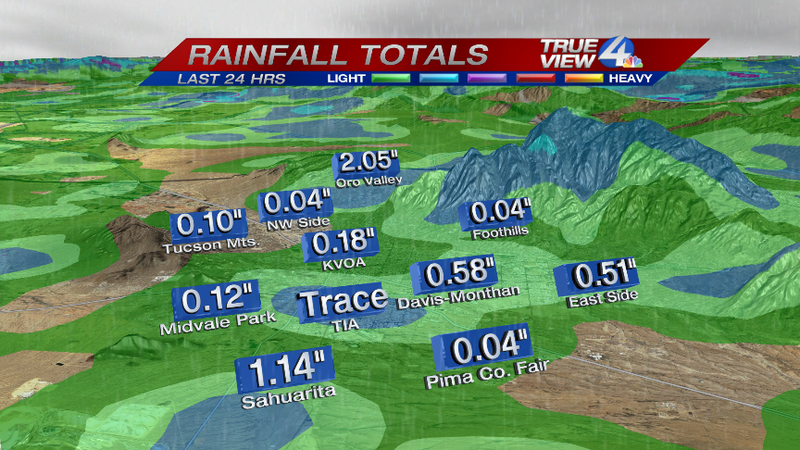 The intersection of Country Club & Ajo picked up 1.81″ of rain, and a rain gauge in Oro Valley received 2.05″. Here are some of the other rainfall amounts around the metro. The monsoon is going into a low-grade pattern as we head into the weekend while high pressure sets-up shop overhead. Dry air in July means hotter temperatures and triple digits are back in the forecast for the next several days. Monsoon 2013 will take a little break, and perhaps this is welcome news for residents of Cochise County. Here’s a staggering statistic to consider: 9.67″ of rain has fallen in Douglas during the month of July.